As demonstrated by the 2004 Indian Ocean and 2011 Japan events, tsunamis can be devastating. In the United States, history and geologic evidence show that tsunamis are a significant threat. Since the beginning of the 20th century, 36 tsunami events have caused more than 500 deaths and over $1.9 billion (2017 dollars) in damage to U.S. coastal states and territories. Recent studies indicate that in the future, a large U.S. tsunami could affect millions of people and cause tens of billions of dollars in damage. Tsunamis cannot be prevented, but their impacts on life, property, and the economy can be greatly reduced. 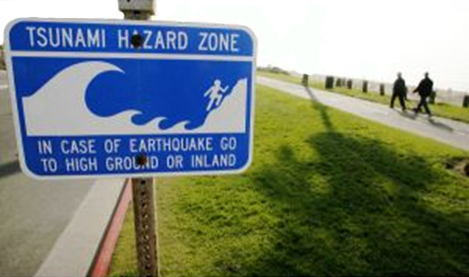 In 1995, recognizing the threat, the U.S. Congress directed the National Oceanic and Atmospheric Administration (NOAA) to form and lead a federal/state working group to develop a plan for reducing tsunami risk to U.S. coastal communities. This group formed what has become a model for federal/state partnerships—the National Tsunami Hazard Mitigation Program (NTHMP). Following the 2004 Indian Ocean tsunami, Congress passed the Tsunami Warning and Education Act to strengthen the capabilities of this partnership "to improve tsunami preparedness of at-risk areas in the United States and its territories." An update to this act—the Tsunami Warning, Education, and Research Act—was signed into law in 2017. Today's NTHMP includes NOAA, the Federal Emergency Management Agency, the U.S. Geological Survey, and 28 U.S. states and territories (states). This strong and active partnership connects states with the federal agencies responsible for the U.S. Tsunami Warning System and brings together the expertise and experiences of all the partners. This enables all levels of government to work together toward the common goals of protecting lives and reducing economic losses from tsunamis at the community level. Through collaboration, coordination, and financial and technical support to partner states, the NTHMP works to reduce the impact of tsunamis on the nation. NTHMP activities affect, either directly or indirectly, everyone in the United States, including coastal residents and visitors, emergency managers, land-use planners, elected officials, educators, government and business organizations, the military, and the tourism and maritime industries. The NTHMP is led by a Coordinating Committee made up of representatives from its partner organizations. This committee guides the work of subcommittees established to address three key functions of the NTHMP: hazard assessment, warning guidance, and mitigation (sustained action to reduce or eliminate the long-term risk to human life and property). To support, supplement, and implement the work of these subcommittees, Congress authorized NOAA to provide financial assistance to NTHMP partner states for tsunami-related activities. In conjunction with outside experts and other stakeholders, the three subcommittees develop guidance and set standards to ensure consistency among federal and state tsunami programs and integration with broader multihazard programs. As the hazard assessment subcommittee, the MMS brings together expertise on modeling and mapping of tsunami hazards. The MMS develops, standardizes, and improves tools that show how tsunamis could affect people and property. Examples of these tools, which are used for emergency and community planning, include tsunami inundation (flooding) and evacuation maps that show who and what is at risk. Through the WCS, the NTHMP provides input to the operational U.S. Tsunami Warning System. 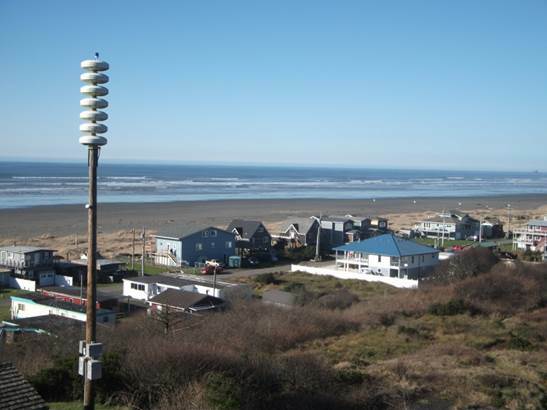 Recommendations from the NTHMP help refine warning system messages, graphics, procedures, exercises, and dissemination systems so that warning system products are effective during a tsunami warning. The MES works to reduce tsunami impacts primarily through education and outreach that increase awareness and encourage preparedness. It also promotes and provides guidance on other risk reduction activities, such as evacuation planning and integration of tsunami risk into land-use policy and planning. And, it provides recommendations for NOAA's TsunamiReady program, which encourages communities to prepare for tsunamis. As directed by Congress, NOAA provides financial assistance to NTHMP partner states. These grants are the primary funding source for projects that further the efforts of the NTHMP and NOAA’s TsunamiReady program. With this assistance, NTHMP partner states have been able to substantially improve the products and services they provide to coastal communities in a cost-effective way. Examples of fundable projects include inundation maps, evacuation plans and maps, technical training and public education programs, outreach projects, preparedness and mitigation workshops, planning guidance, evacuation drills, signs, and maintenance of warning infrastructure (e.g., sirens). The nation's ability to respond to a tsunami has come a long way since 1995, and much of this progress is because of the NTHMP and its partners, both individually and collectively. Today, thanks in part to the work of the NTHMP, U.S. coastal communities are better prepared for a tsunami. But, more remains to be done. NTHMP partners are committed to the program's mission "to mitigate the impact of tsunamis through public education, community response planning, hazard assessment, and warning coordination." Ultimately, the effectiveness of the NTHMP requires a long-term, sustained effort at all levels of government that is responsive to changes in tsunami science and technology, emergency management, risk communication, and society in general, as well as lessons from future tsunamis. For more information, contact Rocky Lopes, NTHMP program administrator.